1 Is Apple Butter Healthy? 3 What is Pomme Fondant? 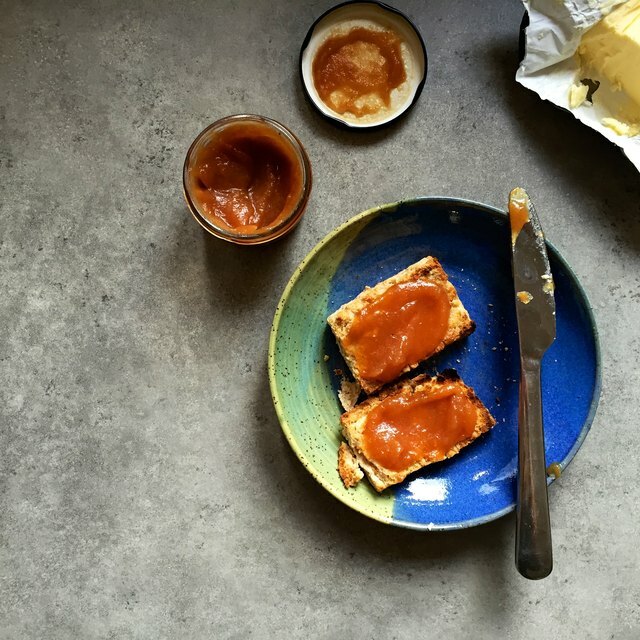 Apple butter is one of those quintessential hallmarks of autumn. The name refers to the thickened consistency of the spread, and it can be used to add a "spoonful of fall" on most any of your favorite staples — biscuits and pancakes or mixed into yogurts and oatmeal, garnished on top of pork chops or in place of jam on sandwiches or desserts. One of our personal favorites is a generous layer of apple butter sandwiched between melting cheddar and bacon on a warm grilled cheese sandwich. While we both grew up with the dark brown grocery store jars, apple butter is surprisingly simple to make at home using a combination of fresh apples and six completely natural ingredients. Our method can be completed in a single pot and comes together on the stovetop in less than 2 hours, filling your home with the intoxicating aromas of autumn. That's right — no need for 9 to 10 hour cook times in a crock pot or oven. The listed ingredients makes 2 cups of apple butter. Triple the recipe below and use smaller, 4-ounce sized jelly jars to make a batch of 12 jars ready for seasonal gifting — teachers, neighbors, housewarming and holiday hostess. Peel and core apples, cutting into small pieces. An apple divider helps to quickly core and slice each apple in a single motion, achieving uniform slices. Save the apple cores and peels, as they are the key to making homemade apple vinegar. Learn how to make a batch of your own here. Combine the apples, cider, brown sugar and kosher salt in an enamel pot or dutch oven. Bring the mixture to a boil over high heat. Allow to boil for 5 minutes before lowering the heat to simmer and cook the apples uncovered, stirring occasionally until the apples are soft and the liquid has reduced, about 20 minutes more. Add juice from the lemon and puree the apple mixture using an immersion blender (or process with a blender in batches) until smooth in texture. Some chunks are OK, and lend to the homespun nature of the spread. Stir in the cinnamon and allspice, returning to a simmer and stirring every 5 minutes until the apple butter is thickened and darkening in color. 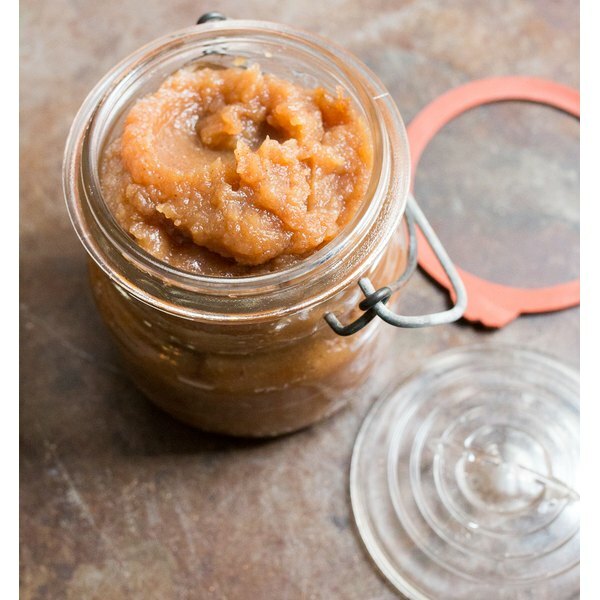 Remove from heat and allow the apple butter to cool before distributing into glass jars. Keep cool in the refrigerator for up to 2 weeks or freeze in an airtight container up to 6 months. Does Prune Juice Work As a Colon Cleanse?